Moving from Blogger to WordPress can be overwhelming, especially if you’re worried that it’ll affect your daily traffic, Google page rank, and your number of followers. Try not to worry – all of this will be covered in this post. 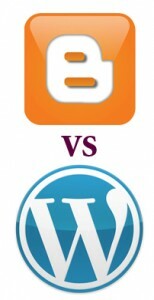 This blogging tutorial goes into the nitty-gritty of Blogger to WordPress migration. I covered the basics of Blogger to WordPress Migration in my last post – Blogger to WordPress Migration: the Step by Step Guide. If you’re reading this blogging tutorial, you should have already imported your Blogger posts and comments into your new self-hosted WordPress blog. You’re almost done with your WordPress migration. All you need to do is tweak a few things, redirect your old blogspot URL to your new one, play with your WordPress design, and get everything in working order. You may have noticed that my domain name has changed. www.PregnancyBaby411.com now redirects to www.MyPregnancyBaby.com (my new URL). I am in critical need of any help that I can get from Mom and Daddy Bloggers Out There.